There's a new club in town: the Southern California Whiskey Club. It's the brainchild of Chris Uhde and Michael Ries, two awesome whiskey guys I've met at a number of other booze events. You'll note the 'e' in the "Whiskey" part of their club name. Thus Monday night's event was a Bourbon Whiskey meeting. And not just any bourbon whiskey. Stitzel-Weller bourbon whiskey. This was another step in my further education on American whiskies. A year ago today, I didn't know a darn thing about the aged spirits produced in my country. My whisky knowledge was (like most of my thoughts) focused overseas. Since my proper introduction to rye and bourbon last February, my interest in these more local liquors has grown. Yes, your eyes may be drawn to #4 there. And for good reason. Collectors are going absolutely bananas for all Pappy juice. Especially the known Stitzel-Weller Pappy juice. Since the Stitzel-Weller distillery closed in 1992, the 2010 Pappy is definitely S-W. There's a debate as to how much actual Stitzel-Weller spirit is in the 2012. Much, most, or all of it may be from Heaven Hill's Bernheim distillery. Back in the day, Julian "Pappy" Van Winkle personally preferred the palate on wheated bourbons -- "a whisper of wheat" they used to say -- so that was the product they focused on at the distillery. And wheated bourbons are what we tasted at the Monday night event, held at The Daily Pint. 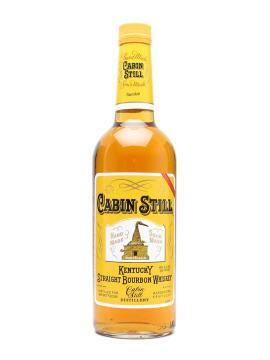 Cabin Still 1989 -- Bright candied nose. Sweeter than the 2011, but not sacchrine. Cabin Still 2011 -- Sandier, dustier nose. Mild palate, a little bit of clay in there. Old Fitzgerald 1991 -- Maple syrup on buttermilk pancakes. Thick solid palate. Old Fitzgerald 2012 -- Quite muted. Hay, grasses, grainy notes. Very Special Old Fitz 12yr 1994 -- Chocolate, maple syrup, and light floral notes. Very Special Old Fitz 12yr current -- Milder (again), grassy. A touch sour. Not as very special. Pappy 20yr 2010 -- Fills one's skull with the vibrant oaky wheat whisky flavors. Some brandied cherries in there. I prefer this one's palate. Pappy 20yr 2012 -- Nose is heavier, darker (does that make any sense?). Spices, molasses, bananas. I prefer this one's nose. Sorry for those last two. Socializing had begun in earnest by that point. I was talking to a nice chap about spirits of all kinds. That was actually one of the best parts of the event was the laid-back chatty atmosphere. Chris didn't tell the crowd what we should be tasting nor which whiskey we should like better. Instead, we all were given the space to sort out what we liked best. That's exactly how I think events should be run. Whisk(e)y is a mercurial personal thing. In my case, I liked the newer Pappy's nose better than the S-W Pappy nose, while I liked the elder one's palate better. But I liked Old Fitzgerald 1991 the best, even more than the Pappies. Its nose was insanely delicious, and it didn't taste half bad either! 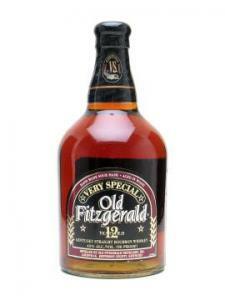 The Very Special Old Fitzgerald '94 was great too. I found the contemporary Heaven Hill bourbons to be very mild and largely forgettable, aside from their mildness. I personally wouldn't drop $100+ on any of these, though I can understand why Pappy would carry a big price in the primary market. I'll keep my commentary on the secondary market to a minimum for now. Ultimately, I agree with Southern California Whiskey Club folks; these amber treasures were made to be appreciated by more senses than just sight. They were created to be tasted. They were created to be shared. I mean, it's whiskey, damn it. Many thanks to Chris and Michael for this great opportunity. I'm looking forward to the next event! Stitzel-Weller is very much the Port Ellen or Brora of American bourbon. I've got the Jefferson's 18 and well, it's quite oaky. Don't get me wrong, I like this flavor profile and it's a decent bourbon. Still I'd love to try one of the Pappys some time in my life. There are a couple bars in LA and Vegas that have Pappy at sorta reasonable prices. But I'll bet up north the Winkles fetch silly $$$ in bars. There might be a Pappy event with the SCWC guys coming next year if you're in the mood for an LA voyage.